The Center of HOPE is founded on the prayer that harmony between the earthly and heavenly Jerusalem may be realized through harmony in the lives of all the faithful, learning, sharing and praying for peace…in Jerusalem. The main building is the main visitor destination. 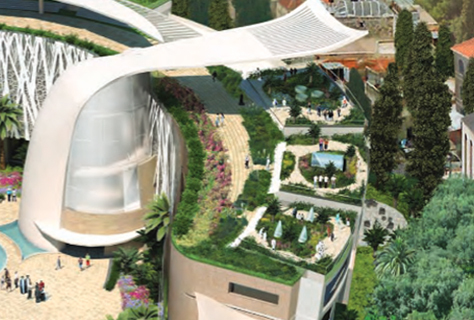 It houses the library, auditorium and coffee shop. It also houses the museum on prayer in religious traditions. The visit of the museum constitutes an invitation to visiting the prayer spaces located on the two top stories of the main building. 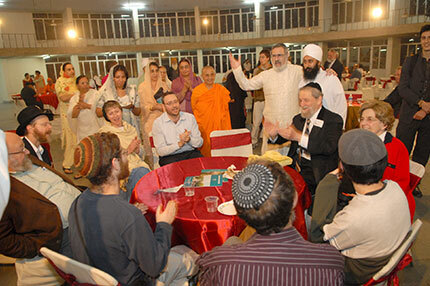 Pilgrims from all religions will come to HOPE as a common destination for interreligious pilgrimage. 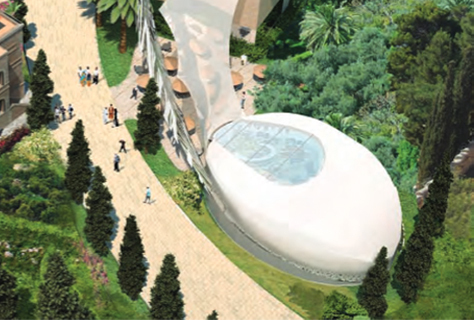 Under the sign of friendship, the first ever hotel complex that is thematized in light of the wisdom of world religions will be developed. 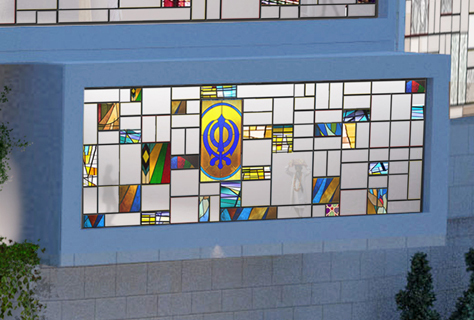 Rooms will feature the wisdom and teachings of saints of all religions and the entire experience will be informed by the ideals of interreligious friendship and continuing learning from all spiritual traditions. 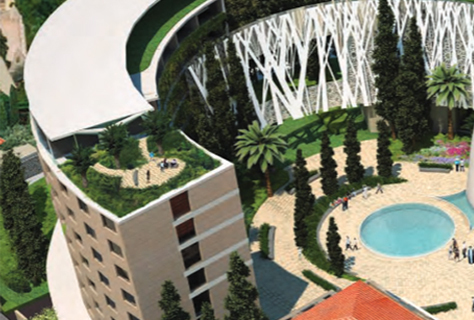 The visitor to HOPE first enters the orientation pavillion, where basic information on the center, its activities, and guidelines for appropriate conduct are provided. The courtyard is a space of interreligious meeting. 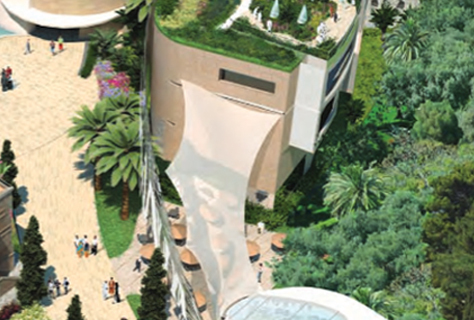 Set in green, and contained by the beauty of the space, this is where members of different faith traditions can share, inspire and transform through personal encounters. 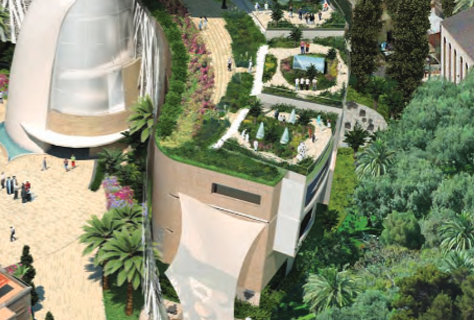 The rooftop garden is a quiet verdant zone, facing the old city, dedicated to prayer. All are welcome to this space, shared equally between the faiths, open to quiet prayer, meditation and reflection. Meeting over food is the most basic way of meeting. 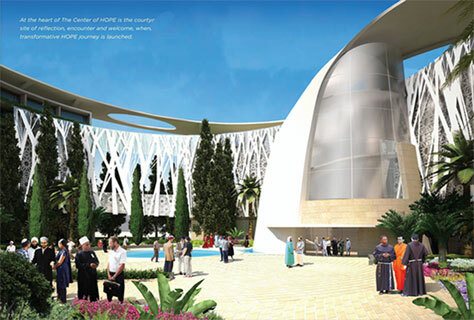 Visitors to HOPE will have the possibility of practicing encounter while they are exposed to cuisines of all world cultures. Food will be suitable to the religious requirements of all traditions, and provide a kind of common culinary ground. 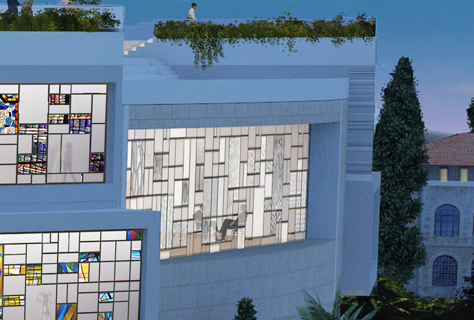 HOPE's library will be dedicated to prayer and spirituality in all traditions. 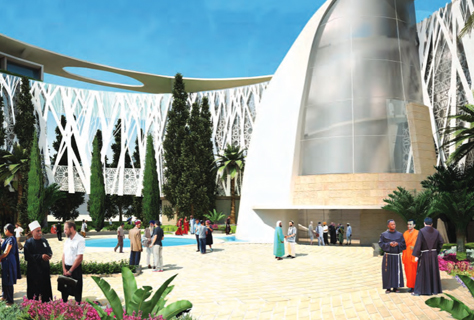 It will be a space where basic learning and deepening understanding of the spiritual life of religions takes place. 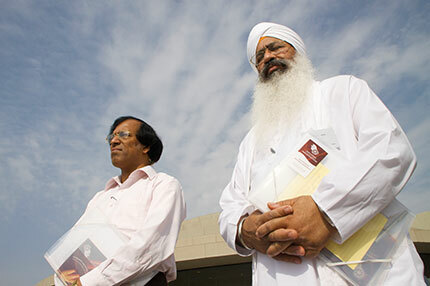 While not a dedicated research library, its 50,000 volumes will provide all that the scholar and interested public require in terms of resources for understanding the spiritual life of religions. Large public gatherings of all sort will take place in the auditorium. 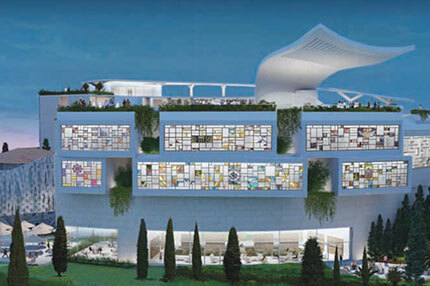 Cultural sharing in the form of concerts, dance, theatre and other forms of artistic expression will be held here, as well as public lectures and presentations. 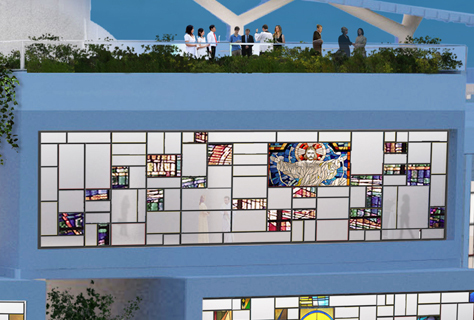 HOPE will feature the first of its kind museum on prayer and the spiritual life of religions. 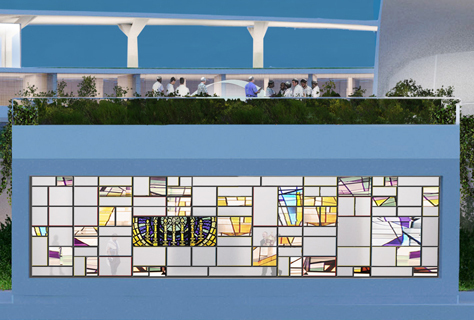 The museum's audio-visual presentation will highlight the depth commonalities and surface differences of prayer practices of different traditions. It will allow members of a particular tradition to gain deeper insight into the spiritual life of other traditions and it will facilitate an understanding of spiritual experience for those who do not belong to any tradition. The meditation room will serve as a quiet space for different forms of meditation. It is intended as a space of practice, which provides a counterpoint to the prayer and rituals practiced in HOPE's prayer spaces. While HOPE's core vision is of different religions praying alongside one another, there are times when we wish to come together for common services. The shared prayer space allows us to share in specially designed services, that respect the integrity of all traditions, while suggesting commonalities. It will also serve as an all purpose prayer room, for the various groups that do not have a dedicated prayer space at HOPE. Buddhist chanting and meditation will take place here, recalling the Buddhist message and the wisdom and guidance it provides for humanity and its potential contribution to HOPE's environment. Here will be carried out chanting, reading, singing, meditation and practices that express the deepest insights of the Hindu tradition, affirming the unity of life and being, and bringing this recognition to bear upon the plurality of circumstances of life. A vision based on the unity of all life seeks to contribute to the reality of Jerusalem and share in its spiritual life. 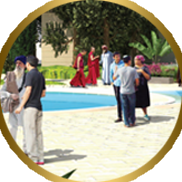 - Veneration and reading of Scripture, chanting music and prayers of Sikh faithful join those of the other faiths of Jerusalem, in seeking God's blessings and peace for all religious communities in Jerusalem and worldwide. The Protestant space will allow Christian communities that prefer less elaborate architecture and worship to find a home in HOPE. Focusing on the reading of Scripture and liturgies based on Psalms and hymns, this space welcomes a variety of expressions of Christian prayer life, grouped under the broad designation "protestant". 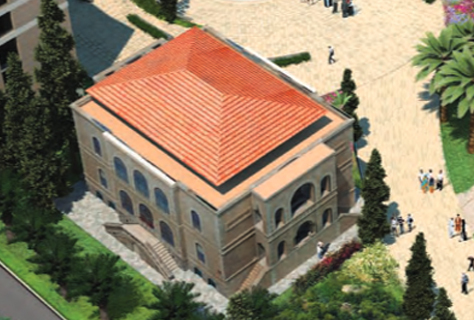 This space will be designed in accordance with the architectural conventions and for purposes of holding the divine liturgy, as practiced by Orthodox and Armenian Christian communities. 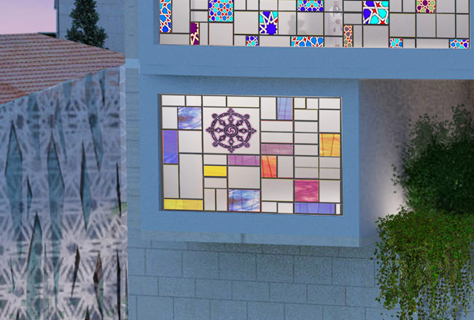 Services will be multilingual, giving the possibility for a variety of Orthodox groups - local and pilgrim, to find a home in HOPE. 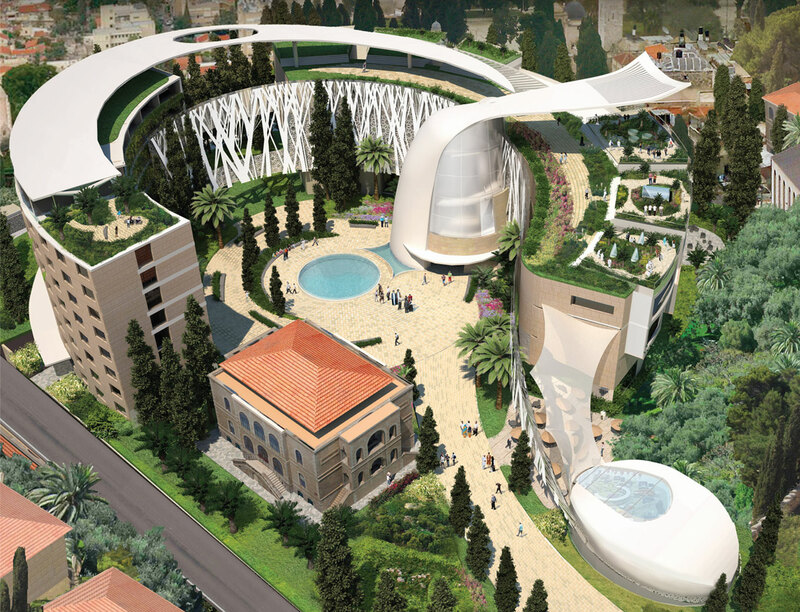 In this space architecture and liturgy will follow the conventions practice by the Catholic Church. The universality of the Catholic Church suggests a space where services will regularly take place in all languages of the world, representing the huge international scope of Catholic pilgrims to the Holy Land. 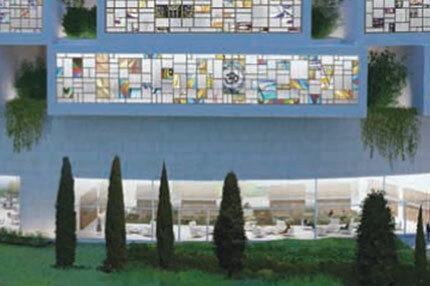 This space will follow synagogue and liturgy standards as practiced by Orthodox Jews. A variety of prayer expressions, representing diversity of practice, will be featured, all conforming to Orthodox halachic standards. 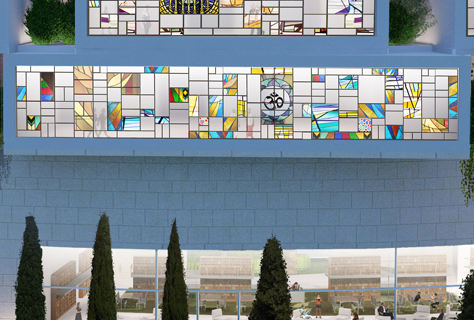 This space will provide a home for all Jewish groups that give expression to their religious life in forms that depart from standard Orthodox practice. While this includes alternative liturgies, the most important defining element is the full inclusion of women in ritual and liturgy, as practiced by the various non-Orthodox Jewish denominations. 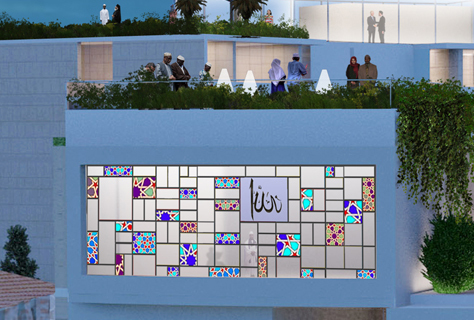 Facing Mecca, this space will follow the architecture and prayer life of the Muslim community. It will draw local participants as well as pilgrims from different parts of the Muslim world. 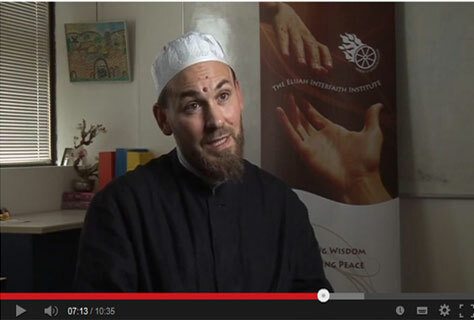 It is open to all forms of Islam, based upon their common practices. In addition to the five daily prayers, readings from the Quran and other practices, such as Sufi Dhikr, will take place in this space.